EXPLAINER | What's An Ethane Cracker? 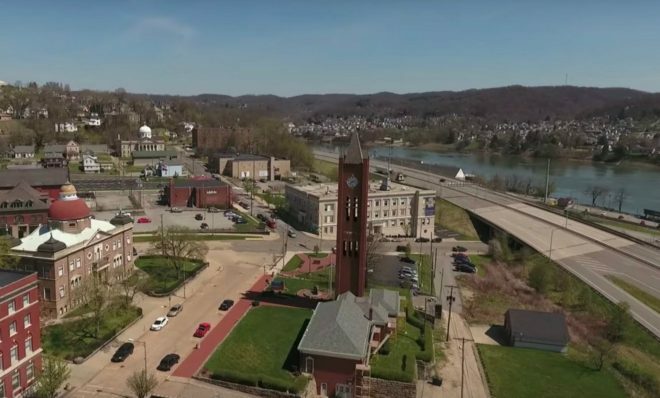 In June 2016, Shell Chemical Appalachia announced it plans to build a massive, multi-billion dollar petrochemical plant (known as an ethane cracker) in Potter Township, Beaver County, about 30 miles northwest of Pittsburgh. It’s now under construction and is expected to create some 6,000 construction jobs, the company says. Commercial operation is due to begin “early in the next decade” and will employ about 600 people permanently. The operation is due to make 1.6 million tonnes a year of ethylene, which is used in products ranging from food packaging to automotive parts. “Cracker” is industry lingo for a plant that takes oil and gas and breaks it into smaller molecules, to create ethylene, which is used in plastics manufacturing. The location was chosen because of its proximity to gas supplies, creating shorter and more reliable supply chains than those for comparable facilities on the U.S. Gulf Coast, and because it will be within 700 miles of North American polyethylene customers, the company said. The announcement ended years of speculation about whether or not the project would go forward. Pennsylvania attracted Shell by granting the company a fifteen-year tax amnesty window. 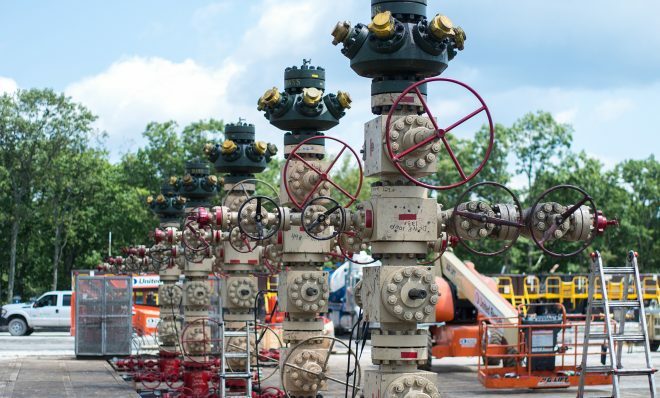 Former Governor Tom Corbett successfully pushed for an additional tax break that will grant Shell a $2.10 credit for every gallon of ethane it purchases from Pennsylvania-based natural gas drillers. Over a 25-year window, the credit has been valued at $1.65 billion, making it the largest tax break in state history. 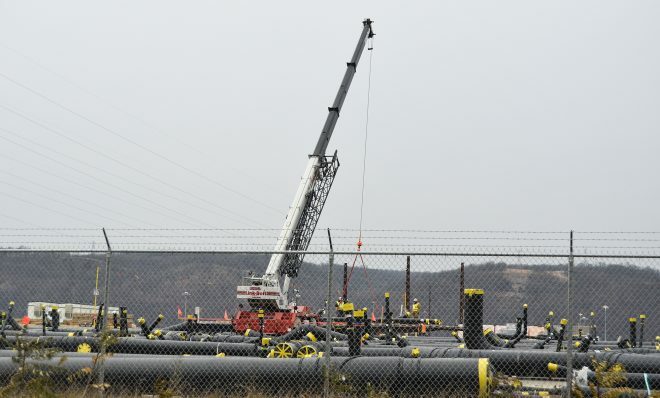 More pipelines coming online, coupled with high production, means the industry’s focus is shifting to how it can best use the region’s natural gas. 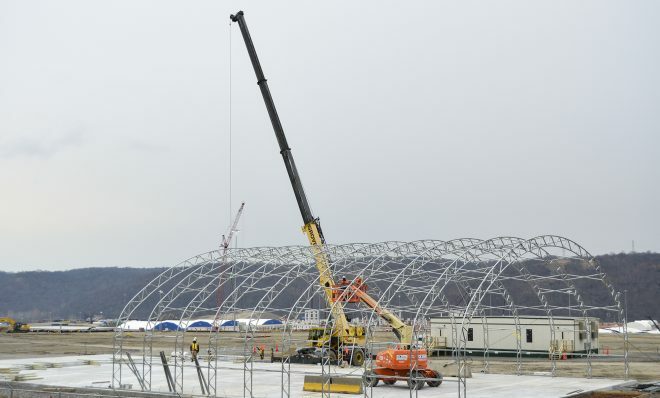 The action will allow pipes made with Brazilian steel, held up in U.S. customs, to head for the western Pennsylvania construction site.